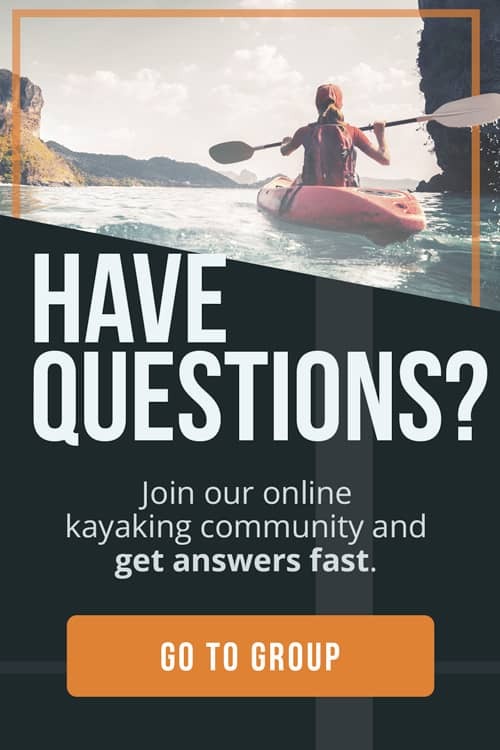 Are you an avid kayaker who uses their kayak weekly or even daily? Or do you only you use it sporadically? 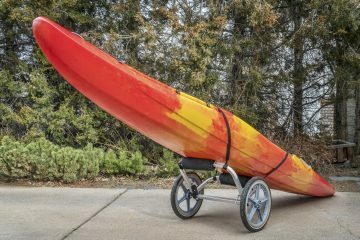 Is the kayaking season over and are you trying to figure out how to store a kayak? It’s important to know that proper kayak storage is key to keeping your equipment in prime shape. It doesn’t matter whether you store it for 24 hours or 12 months. It needs to be done well to protect it from the elements. 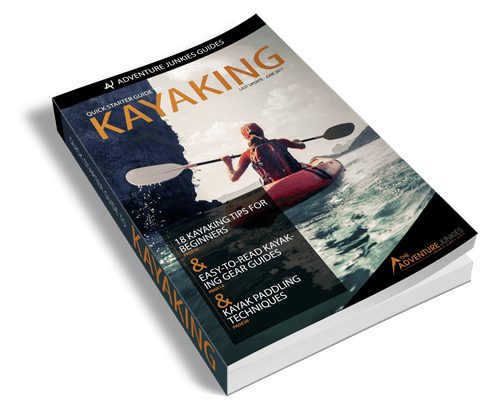 Here at The Adventure Junkies, we offer you a bunch of useful information on kayak storage in this lengthy article. We’ll cover everything from day-to-day storage in the high season to long-term storage. There are four main reasons to store your kayak properly, even if it’s only for a short period of time. Don’t just leave your boat laying around. You’ve spent a decent chunk of money on it, so treat it accordingly. The better you store it, the longer it’ll last. Most kayak hulls will bend or deform if their weight isn’t distributed evenly. This doesn’t happen overnight, but it can happen over time. The types of kayaks most prone to distortion are plastic ones. Composite kayaks and even wood-hulled kayaks can also become deformed over time, though. If you store your kayak on its hull, the hull will have to bear the full weight of the kayak. This may alter the shape of the hull, eventually affecting your kayak’s performance in the water. 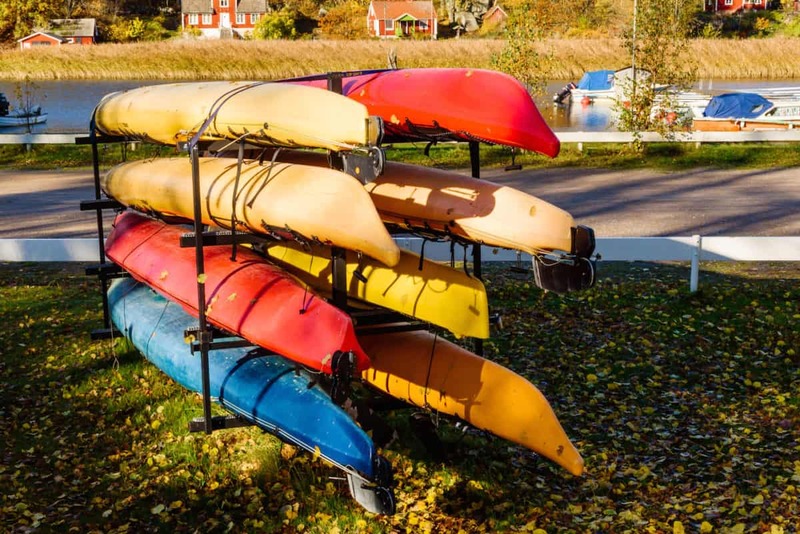 Other kayak storage practices you should avoid include standing the boat up on one end, hanging it from its grab handles and supporting it only on its bow and stern. You should also not place it on a hard, flat surface. The best practice is supporting your kayak at several spots along its entire length. You can do this by using angled surfaces and padded cradles. The best option, though, is using wide nylon webbing matching the hull’s curve. If you’re using an inflatable kayak, take it apart and deflate it when storing it for a longer period of time. Another important reason to store your kayak is to protect it from the sun, weather and other climatic elements. As REI.com says, sunlight is able to degrade pretty much any type of material. This includes plastic, wood and even fiberglass. Therefore, it’s critical to find a shady spot at the very least. 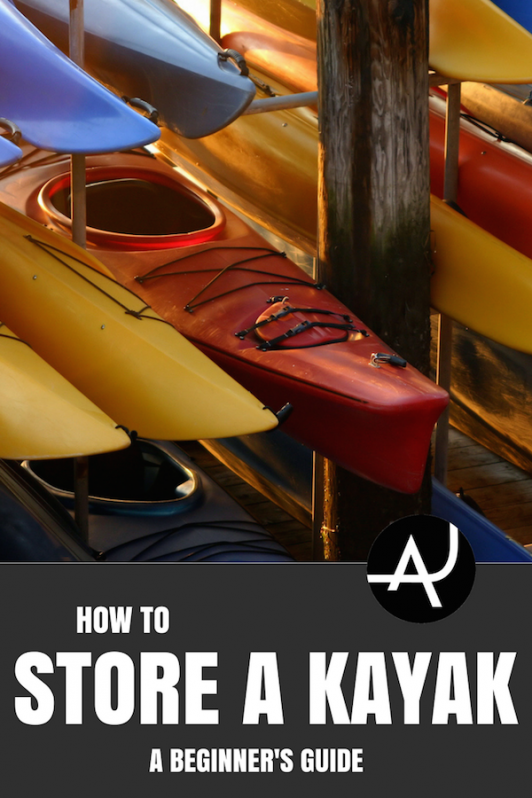 Better, of course, is storing your kayak inside—in your basement or garage. In case it’s impossible to find any shade, you can protect it from the sun by covering it with a weather-resistant tarp. Make sure the tarp covers the entire kayak, but pay attention that it doesn’t touch it. Contact between the hull and tarp can cause fungal growth or mold. You may also want to spray your kayak with a sun-protective spray. This enhances the UV protection of your boat. You can apply a nice coating before the kayaking season and, again, before storing your kayak for longer periods of time. If you’re storing the kayak outside under a tarp, ensure that the tarp doesn’t collect any rain or snow and becomes pressed down on the kayak. Know that frost may damage the hull of your kayak, even if it’s stored inside. This can happen if water has seeped into cracks in the hull or into seams or joints. By expanding and contracting—freezing and thawing—it can severely damage your precious boat. 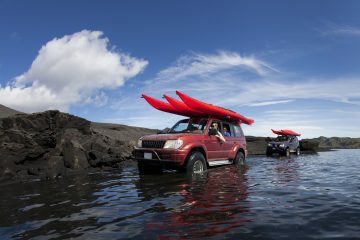 In addition, if you’ve been kayaking in saltwater, it’s essential to spray down your boat afterward with fresh water. Salt is known to corrode metal parts and degrade materials. Another reason for proper kayak storage is protecting the safety of yourself and those around you. 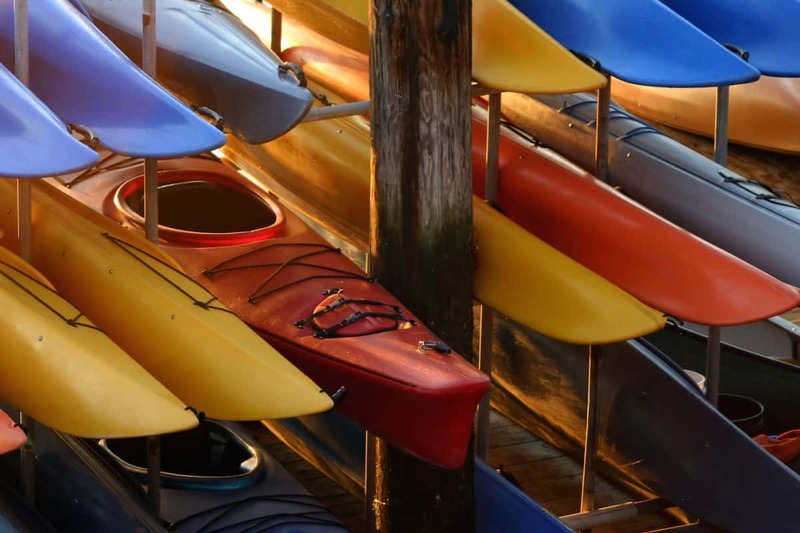 An ill-stored kayak may fall down or fall over and injure a bystander. Make sure your kayak is securely stored. To do this, you can use a variety of equipment, from safety straps to racks and ropes. Especially if you’re not using your kayak regularly—in the off-season—you won’t check up on it on a regular basis. This is why you should always store it in a hidden place. If you’re not able to store it inside, make sure it’s hidden from view as well as possible. You don’t want to give potential thieves any ideas. To make it harder to steal, you can position the kayak in a way (and place) that makes it hard to grab it and run off with it. You may even want to consider putting a security cable or lock on it if you’re storing it for a longer time. If you’re kayaking every day, it’s okay to store it on its side or even standing on one end. Kayak rental companies often store their boats like this. Before storing it, make sure to empty the kayak from all water. Note that this kind of kayak storage is only suitable for short periods of time. As explained above, keeping it these positions for an extended period of time can cause deformation. It’s better to store it upside down, ideally in slings or straps. 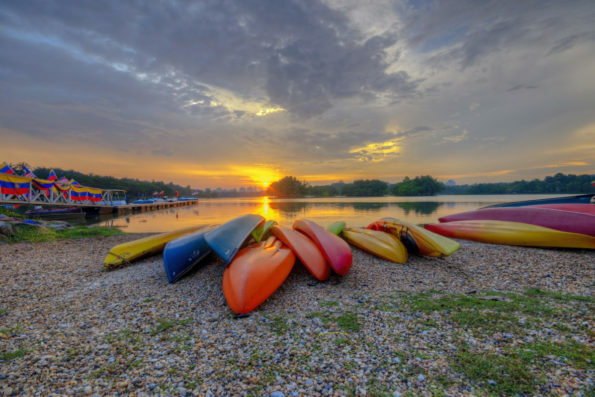 Wilderness Systems lays out the steps to take before storing your kayak long-term. Always start by emptying out the boat, rinsing it with freshwater and inspecting it for damage, scrapes or wear. Preferably, store it inside, out of direct sunlight and in a spot where it doesn’t freeze. The best way to store a kayak long-term is slung on its side with webbing. You should position these webbing straps one-third of the way along the kayak’s hull. Make sure that the straps aren’t too tight as that can result in deformation over time. Another acceptable kayak storage method is placing it upside down—hull up—on parallel bars. If you choose this method, it’s important to distribute its weight evenly. 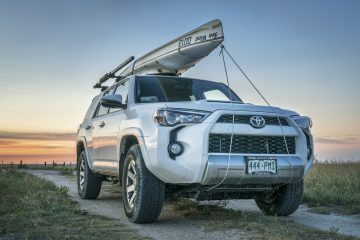 Taking into account all the information listed in this article, you can prevent damage to your kayak when you’re not even using it. How silly would that be? It’s normal for a kayak to become weathered and scraped if you take it out on the water a lot. Damage caused by storing it improperly is not. However, that’s something that’s easy to avoid by following these tips.